Today I have something uber exciting to share with you! Luchessa and I have paired up again to celebrate the beginning of Summer with you. We’ve arranged a fun summer inspired nail art contest where one of you lucky girls can win an amazing prize pack! This contest starts today and ends on July 22! So you have 3 weeks to enter. Show us your best ‘Pool Side Party’ inspired manicure by posting a picture of your work of art on your blog or any social media. It obviously has to be yours!! There are no big ‘rules’ this time. 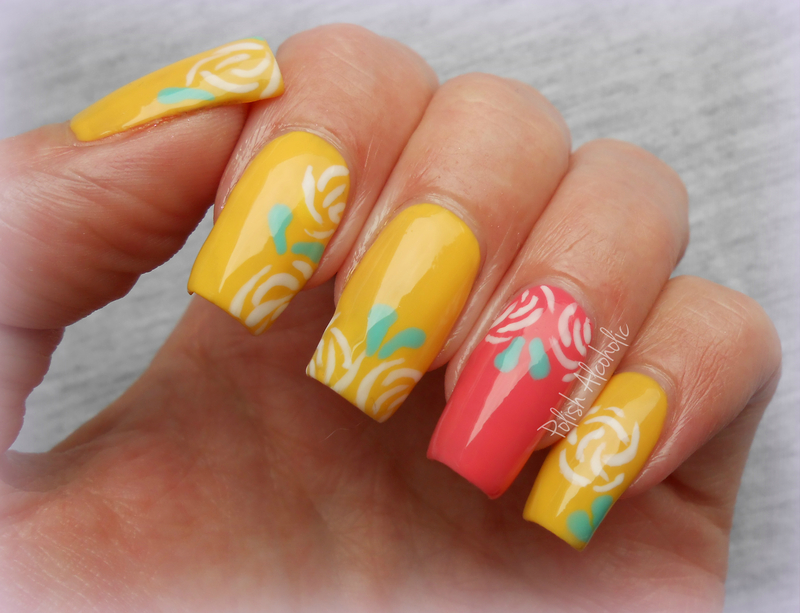 If you’d like to use nail art materials such as acrylic paint, rhinestones etc. it’s entirely up to you. 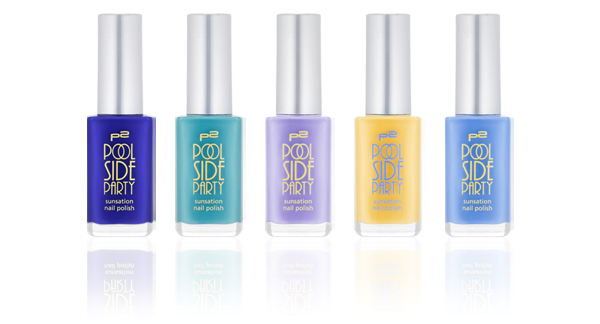 What would be your manicure at a Pool Side Party or on a summery day at the pool? Please leave the link(s) to your post/picture in the comments below. This entry was posted in Giveaway, Other by Polish Alcoholic. Bookmark the permalink. I really hope it’s not too late. Wasn’t sure if it ended last night or ends today at midnight. If I missed it, you can just enjoy the mani I did. Oh wow that’s a fun beach-y mani! Great job Viv! Here’s my entry, hope you like it! That’s a really cute palm tree! Good job! The little heart are a great eye catcher! Thanks for your entry dear! Oh wow so pretty! Lovely color combination! Don’t forget to enter !! I’m so excited!! !Hope you’ll like it!!! I follow both of you at almost every social media. I follow both of you an almost every social media. Good luck sweetie. 🙂 Can’t wait to see your work. What if dont have a blog?? FUN FUN FUN!! I wanna join in! So much nail art to do this july! I know, right! Poor poor cuticles 😉 But it is so much fun! I have a cool trick to protect cuticles from acetone!! I should post about it! k! I slather my hands with olive oil from the kitchen before I use remover. The acetone doesn’t soak in because my skin is already saturated with oil! I’ve been using 100% acetone too! Acetone? For real? I need to try this! 😀 Thanks for sharing! Oh yeah, this is so cool! Oh, this is exciting! I’ve got an idea I’m gonna run home and try out tonight! Radi, i already c ommented on your blog, you did a really cool job! I’m excited to see what you come up with!! Ha! Are we supposed to top that mani? It’s fantastic, just beautiful! Not top – but create something own and fun 🙂 Come on, give it a try! Sounds exciting! Have to start planning ^^ Is this open internationally? Hey sweetie, yes it is open internationally. I will ship you the prizes wherever you live. Wow sooo great! I asume it has to be a freshly created one?